Privacy, pool and jacuzzi. Stayed at villa 120 sukawati, had good view and privacy. Nice water pressure , spacious villa. Have car park, gym nearby. The Villa is very clean and at a quiet place. The services and facilities are awesome. The staff is very friendly and knows how to take care of customers. The pool and the bathroom are the best. the hotel staff are very nice.And the candle night dinner is very good，especially the decoration in the pool. The villa was clean and it’s so big. Perfect private pool and great massages. Mora ( I hope this is correctly written) at the restaurant is a Diamond. He made our breakfast and dinners outstanding. Big thanks to him. The pool size is good for two people The villa is huge ! You can partially watch the sunset. House keeping are doing a good job. Quiet, nice villa. Location good to explore Uluwatu. Scooter needed to get around. Dreamland beach and Sundays Beach Club easy to reach within 15min by scooter. Very nice staff. The room was beautiful and well presented. Staff were amazing, very friendly and helpful. The staff were very friendly and helpful. Our flight was delayed by 2 hours and someone still collected us from the airport at 1-2am. We needed an adapter to charge our phones and they were more than happy to lend two to my partner and I. The staff were always happy and most of them had good English and would always ask us about our day and were very helpful. We could hire a scooter for around $10 nzd for the day and was super easy to organise no issues at all. 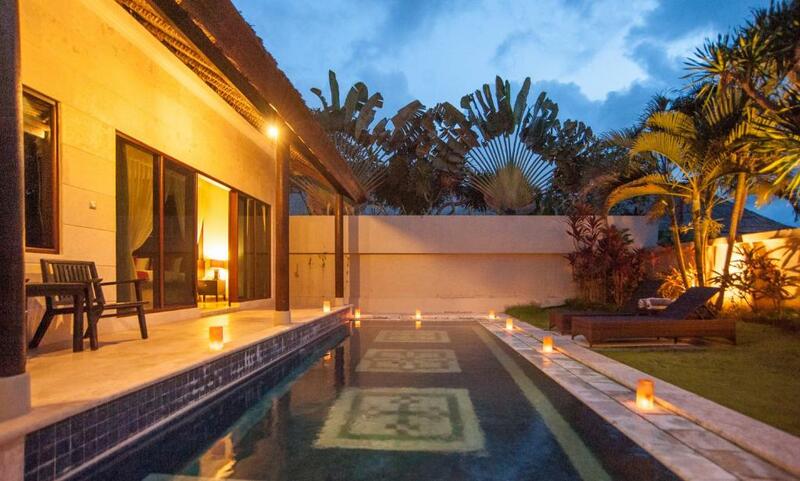 Lock in a great price for Hillstone Uluwatu Villa – rated 8.1 by recent guests! Hillstone Uluwatu Villa This rating is a reflection of how the property compares to the industry standard when it comes to price, facilities and services available. It's based on a self-evaluation by the property. Use this rating to help choose your stay! One of our top picks in Uluwatu.Hillstone Uluwatu Villa is a 10-minute drive from Bali’s Jimbaran Beach. An elevated property overlooking the Indian Ocean, it offers a restaurant and villas with private pools. 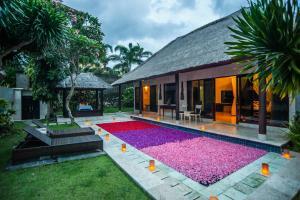 The property is 15 minutes’ drive from Padang Padang and Dreamland Beaches and 20 minutes’ drive from Ngurah Rai International Airport. A free shuttle brings guests to Dreamland Beach and Kuta area based on schedule, while airport transfer can be arranged at additional charge. 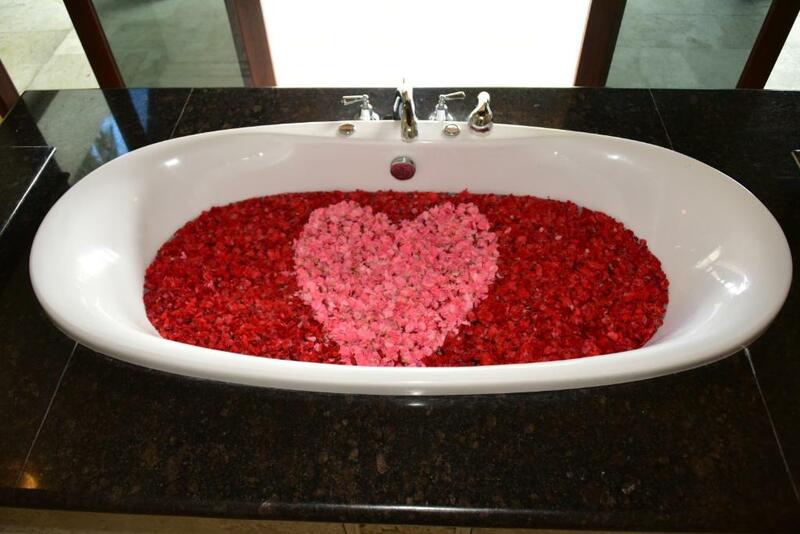 Guests can take yoga classes, or enjoy a relaxing massage at the spa or in their villas. 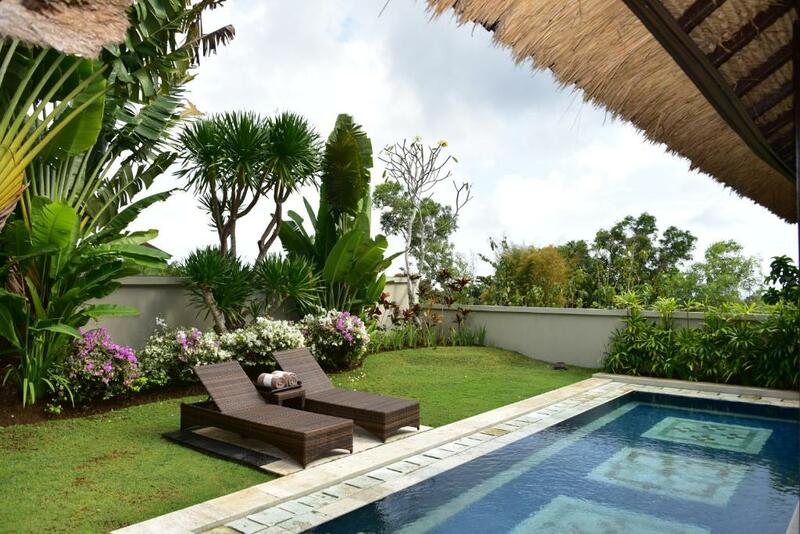 Hillstone Uluwatu Villa features a main outdoor pool, a library and a gift shop. 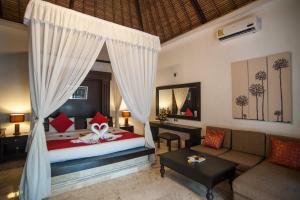 The spacious villas come with a Balinese-style pavilion with a day bed. Room amenities include a TV and DVD home theater system. Separate vanity and work areas are also provided. Asian specialties can be sampled at The Terrace restaurant, while The View restaurant serves Western dishes. Cocktails are available at the lobby bar and the pool bar. 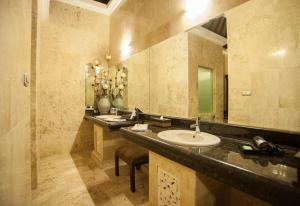 When would you like to stay at Hillstone Uluwatu Villa? 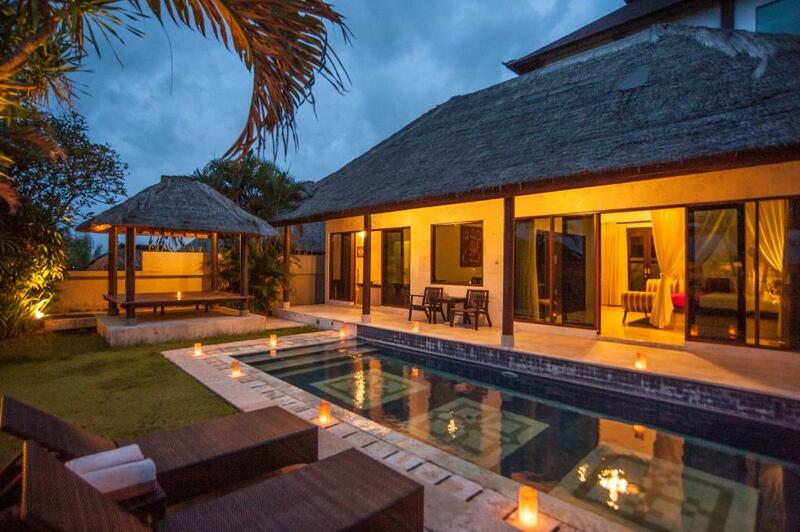 Spacious villa features a 79 ft² private pool, free Wi-Fi and a hot tub. Includes a flat-screen TV and DVD player. Bathroom has high-pressure massage showers and a yukata (Japanese-style bathrobes). A boutique pool villa in Uluwatu Bali... Hillstone Uluwatu Villa provides a unique experience for couples and families looking for Bali package holiday and get a real taste of the delights Bali has to offer with our private pool villa in Uluwatu. 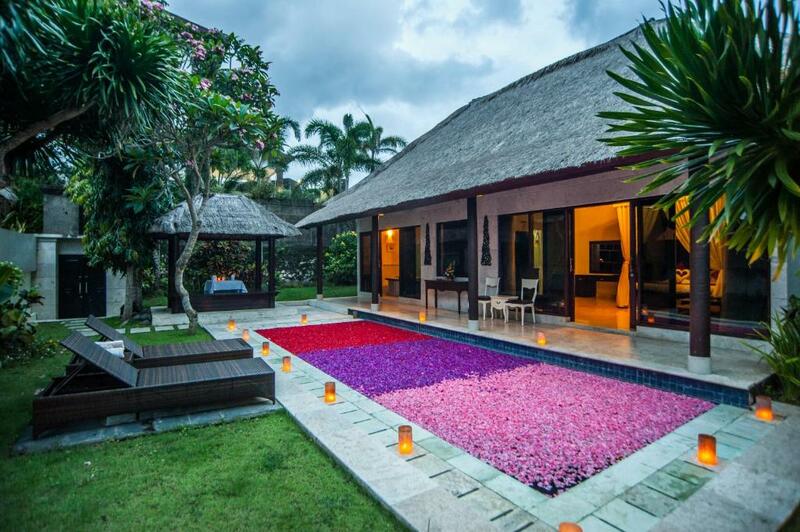 Experience a selection of our 32 private pool villas within our serene setting which has made us also very popular for honeymoon and weddings destination in Bali . We are the only boutique pool villa in Uluwatu to offer honeymoon package with our stunning location, our beautifully designed villas and our extensive facilities and amenities, many of which being complimentary, Hillstone Uluwatu Villa is the ideal boutique pool villa with holiday packages to suit you, whether you are looking for honeymoon and private holidays in Bali . Our fully comprehensive boutique pool villa provide free shuttle to Dreamland Beach and Garuda Wisnu Kencana Cultural Park, return airport transfer with additional charge,Traditional spa,Candle light dinner in villa . Accommodation at Hillstone Uluwatu Villa extends to a collection of 32 Pool Villas It is a design concept that is sensitive to the immediate environment and makes creative use of sustainably sourced materials. Visually, the property exudes a timeless and eco-friendly look that appeals to seasoned travelers. These delightful boutique wooden pool villas come in a range of different sizes to anticipate the needs of couples or families travelling together. While rustic in appearance, they feature modern home conveniences to ensure a quality stay. Meticulously styled for personal comfort, each pool villas is tastefully-appointed with classic timber furnishings and elements of local artistry. You can enjoy ocean view from our Lobby. and Beautiful sunset from Lobby. Sometimes you can see Batur Mount view from our Lobby in the morning. very beautiful. Near Villa have much restaurant with any style of menu, like Asian Menu, Western Menu, Balinese Menu or Halal Food. House Rules Hillstone Uluwatu Villa takes special requests – add in the next step! Please inform Hillstone Uluwatu Villa of your expected arrival time in advance. You can use the Special Requests box when booking, or contact the property directly using the contact details in your confirmation. Use of buggy to transport around the grounds of the villa (to and from reception and restaurant). Friendly helpful staff. Great facilities. Location a bit far from everything but just adds to the peace and tranquility. Taxis can be arranged and make the whole island accessible. Great private pool beautiful large villa. Restaurant (limited availability of food, lots of menus not available), accommodation (furniture which we had to ask for). Service was erratic and generally poor. Practically next door to a mosque, so broadcasted music ( very loud) morning to night. Lack of mossie protection. Only 2 bottles water and pillows provided. Breakfast buffet very limited. No bathrobe provided . Bath had stale smell, probably not used often. some foritures are old fashioned and the breakfast is not so good. There didn't seem to be anyone else staying here.....it was a large resort but there was No one in restaurant at 7pm on our first night. Our air conditioner wasn't working, our ceiling fan didn't work and the shower broke the first time we used it. Only 2 small(250ml) bottles of water were provided for 2 of us. There was no mosquito spray provided, no resort directory or menu for room service. The staff whilst friendly and helpful did not speak very good english so communication was difficult. The whole place was going under renovation which is visible as soon as you get into the reception which looked worn. Most villas were being renovated however this did not affect our stay. Although the room was clean the doors and tiles in the bathroom were full of water stains and the jacuzzi was old letting out dirty water after every use. The light at swimming pool area was not working when we were arrived. But fixed them afterward. The staff should check all facilities before the guest was coming. They should have maintenance checklist.